This purchase agreement is with Pulse7 GmbH. By placing the products in the online shop, we submit a binding offer to conclude a contract on this article. The contract is concluded and accepted by clicking the order button to purchase the goods contained within the basket. Immediately after sending the order you will receive a confirmation e-mail. • If you have selected credit card payment, the contract comes into effect at the time the credit card is charged. • If you choose the payment method PayPal, the contract comes into effect on the date of your credit card payment to PayPal. • If you choose the payment method immediate bank transferral, the contract comes into effect at the time of confirmation of the payment order to the online payment system. Your credit card will be charged with completion of the purchase. You pay the invoice amount through the online provider Paypal. You must be a registered user or register to be a user. Your payment instruction confirms to us that you are a registered user (except possibly guest access). For more information, please refer to the ordering process. We also offer immediate bank transfer. Here we get the referral credit immediately. As a result, the entire ordering process is accelerated. All you need is the account number, bank code, PIN and TAN. Via the secure, non-accessible for traders’ payment form of the online payment system immediate banking is available and your bank account is automatically updated in real-time. The purchase amount is transferred instantly and directly to the bank account of the merchant. You also have the option to personally collect goods at; Pulse7 GmbH, Johann Roithner-Strasse 131, 4050 Traun, Austria at the below indicated schedule and after telephone or written agreement (office@vital-monitor.com). If goods are delivered with obvious damages, please report such mistakes immediately to the delivery agent (e.g. post man/woman) and please do not hesitate to contact us as soon as possible. Failure to do so will consequently affect your legal rights and their enforcement, especially your warranty rights. However, they do help us to make our own claims for insurance against the carrier or transportation companies. Statutory warranty rights apply. 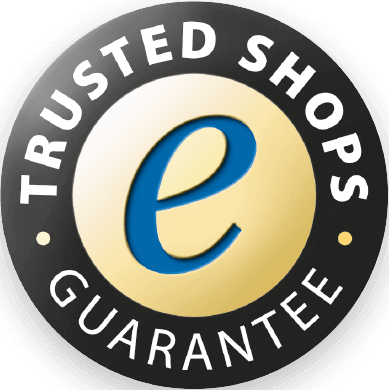 Information on any applicable additional guarantees and their exact conditions can be found on each product and on information pages in the online shop. 10.1 Pulse7 does not guarantee that the www.vital-monitor.com platform or the necessary hardware and software constantly work and are completely free from errors. 10.2 Pulse7 does not guarantee that the data via other systems, in particular the internet and telecommunication networks, is not tracked, recorded or distorted by third parties. 10.3.3 The user expressly acknowledges that any exploitation by the user of data created by Pulse7 or provided by Pulse7 may be flawed. Pulse7 accepts to the extent permitted by law, no responsibility for the accuracy of such data. 10.4 The use of any software or hardware of Pulse7 does not replace consultation with a medical specialist by the user. 10.5 In addition, Pulse7 makes no guarantee for external links, banners or other information and promotional offers that may be presented to the user. Pulse7 is not responsible for the services of third party providers. Legal and concluded transactions that occur between the user and a third party, e.g. on linked sites or banners, which lead to a contractual relationship, are exclusively made between the user and the third party. 11.1 Pulse7 is only liable under the existing legal provisions, for whatever legal reason (pre-contractual, non-contractual) only when damage by Pulse7, was caused by gross negligence or wilful misconduct. In cases of slight negligence Pulse7 is not liable to any companies or to consumers in terms of loss of life, limb or health. A liability of Pulse7 to companies for consequential damages, mere pecuniary losses, loss of profit or damages resulting from claims of third parties is excluded. 11.2 Except for the cases prescribed by law neither Pulse7 nor their related Pulse7 companies, is liable for damages created by the use of the online or mobile services. This also applies to damages resulting from errors, problems, viruses or loss of data. 11.3 Pulse7 assumes no liability for the downloaded material or the material which the user has received as a result of utilization of the service on the www.vital-monitor.com platform. The user alone is liable for any damage that could cause failure to his computer system, or for the loss of data due to the downloading of any performance related material of the www.vital-monitor.com platform. 11.4 The user accepts full responsibility for any complaint, judicial proceedings, extrajudicial or any other type, which in any way causes conflicts with other users. The user acknowledges and accepts that Pulse7 under no circumstance is responsible for any damages or omissions of others. Not even in relation to the said acts. 12.1 The user shall indemnify Pulse7 from all claims raised by third parties against Pulse7 due to a violation of their rights by the user within the Pulse7 network, its content or by other use of the available network applications of Pulse7. The user takes over the cost of any legal defence of Pulse7, including all court costs and attorney fees at the statutory rate. This does not apply if the infringement is due to no fault of the user. 12.2 The user is obliged to immediately inform Pulse7 truthfully and completely in the event of a claim by a third party, providing any information necessary for an examination of the claims and to prepare a defence. In addition, claims for damages by Pulse7 against the user shall not be affected. The available languages for the contract are German and English. The Vitalmonitor is a device for use in sporting activities, use for medical purposes, is exclude. It is expressly pointed out that the available data and values for training/treatment etc., provided by Pulse7 only represent a recommendation and therefore due to physical or unknown damage could lead to an unwanted reaction. The liability for damage to health or previous injuries/accidents is therefore excluded. You have the right to withdraw from this contract without reason within fourteen days. The withdrawal period shall be fourteen days from the date that you or a third party representative, with exception of the actual carrier have taken possession of the goods. To exercise your right of withdrawal, you must inform by means of a clear statement (sent via recorded post, fax or email) to (Pulse7 GmbH, Johann Roithner-Strasse 131, 4050 Traun, office@vital-monitor.com, phone: +43 7229/2 30 30) about your decision to withdraw from the contract. You can use the attached example of the withdrawal form, but it is not compulsory. To safeguard the withdrawal period, it is sufficient that you send your communication concerning your exercise of the right before the expiration of the withdrawal period. If you withdraw from this contract, we will reimburse all payments received from you, including the costs of supply (with the exception of any additional costs arising from the fact that you may have chosen a different method of delivery other than that offered by us, cheapest standard). Repayment will be made latest within fourteen days from the date on which the notification has been received, exercising your right to cancel the contract with us. For this redemption, we use the same method of payment that you used in the original transaction, unless otherwise expressly agreed; under no circumstances will you be charged fees because of this repayment. We may withhold reimbursement until we have received the returned goods back, or until you have demonstrated that you have returned the goods, whichever is the earlier. You must return or pass the goods immediately, and in any event no later than fourteen days from the date on which you informed us about the cancellation of the contract, to us at ( Pulse7 GmbH, Alex Ratay, Johann Roithner-Strasse 131, A-4050 Traun / Austria). The deadline is met if you send the goods before the deadline of 14 days. You must bear the direct cost of returning the goods. You will also be responsible to pay for any diminished value of the goods, when this value is due to a loss necessary to ascertain the nature, characteristics and functioning or handling of the goods.